Do any Home Depot locations allow cub scouts to fundraise at their stores? My local store indicated that they couldn't approve fundraising at the store level, but only through corporate. Is this a possibility? Do any Home Depot locations allow cub scouts to fundraise at their stores? My local store indicated that they couldn&#39;t approve fundraising at the store level, but only through corporate. Is this a possibility? 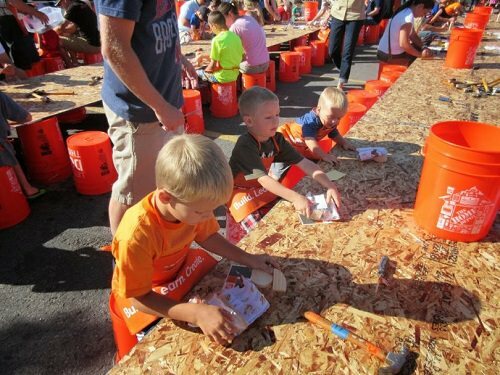 While the Home Depot wholeheartedly support scouting, this is not something we are set up to do. There are of course legal, time, funding, and staffing concerns to take into consideration. I’m sure you can imagine how many other groups would want the same opportunity as well. We do offer free "Kids Club" workshops monthly at our stores. You might try your local Lowe’s. I’ve seen both the Boy and Girl Scouts doing fundraising activities at my local store.